Before we begin, the whole team would like to thank our fans for all their support, and to wish you all a merry Christmas and a happy new year! This time hiding away under the tree, is a render of a vehicle that brought destruction from the sky. 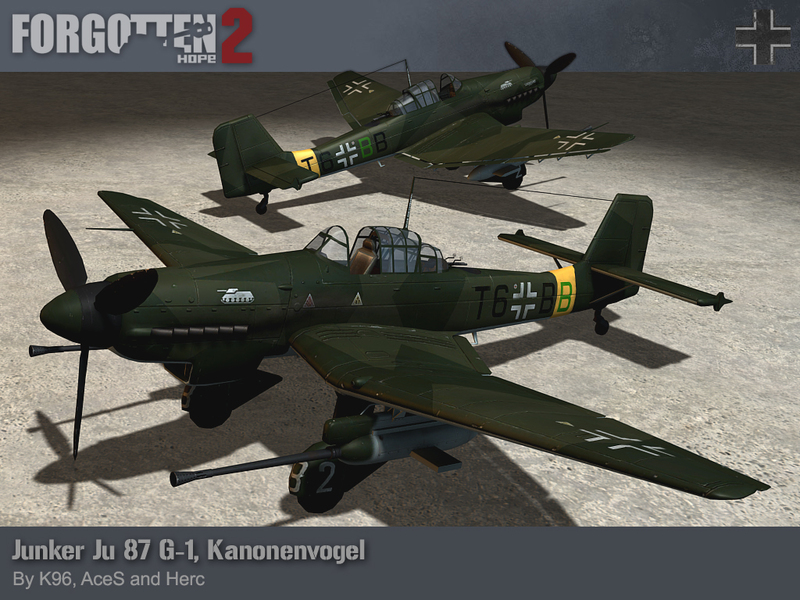 The Junkers Ju 87 G-1, also know as the Kanonenvogel. The large numbers of Soviet tanks that had shown up on the Eastern Front had lead to the requirement for dedicated antitank aircraft. The first such design was the Henschal Hs 129, but while it proved a potent weapon, it had large and vulnerable fuel tanks and a replacement was requested. It was decided to further develop the Ju 87, arming it with 30mm cannon and providing more armour. The Stuka ace Hans-Ulrich Rudel had had some success at killing Soviet tanks with 20mm cannon, and suggested using two 37mm Flak 18 guns in external pods as a primary armament. First flown in January 1943 on a converted D-1, the Bordkanone BK 3,7 would prove to be a lethal tank killer in the hands of Rudel and other Stuka aces. Our Kanonenvogel (cannon bird) was made by K98, AceS and Herc. The guys over at , Forgotten Honor and World at War have got together to make a mappack featuring 17 of their best custom maps. They can be downloaded now and played on the #2 server. Find out more here. Our winners for this week's screenshot competition is SzalonyGolibroda. You can view the winning submission here. No, not Christmas. 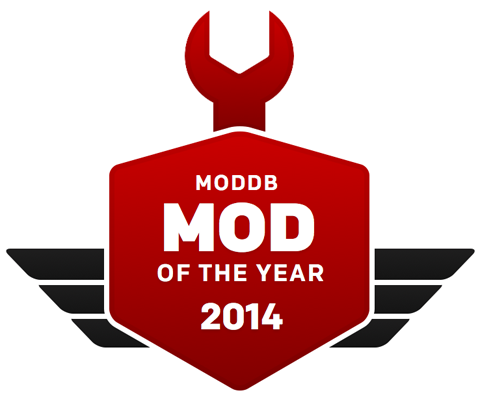 It's voting time for the ModDB Mod of the Year 2014, and FH2 has made it to the Top 100 again. We'd like to say a big thank you to our fans for voting us this far, and we hope that you will vote for us in the Top 100 round as well. The adoption of the M91/30 rifle gave the Red Army a modern and dependable rifle. However, they were still using the M1907 carbines, which had been out of production since before the revolution and were based on the older M1891 rifle. 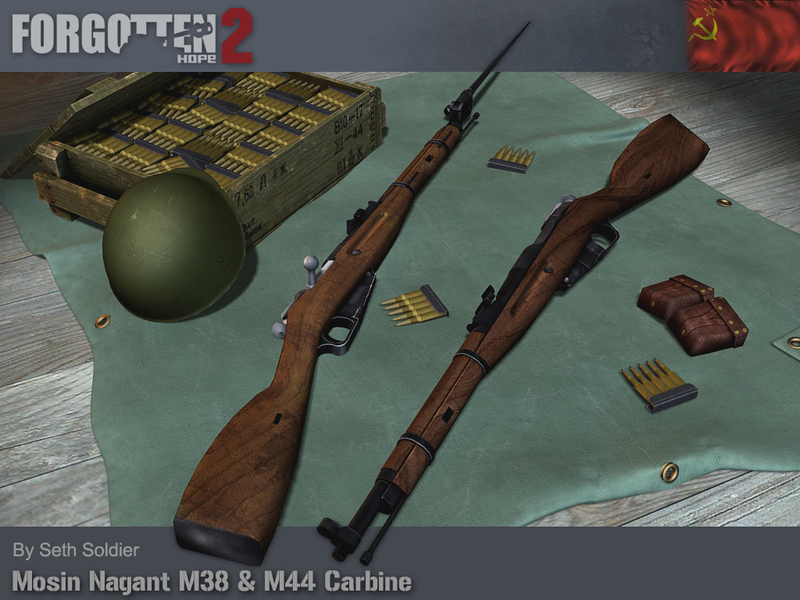 The design for the new M38 carbine was finally accepted for production in February 1939. It was essentially the same as the M91/30, with a shortened barrel and stock, a rear sight graduated to only 1000 metres and a slightly modified front sight mounting. The carbines were issued to artillerymen, engineers and other soldiers who while not front line troops may have need of a rifle. In this case, it was not felt that a bayonet was needed, and so the M38 carbine was not issued with one and was designed not to accept the M91/30 bayonet. However, the fierce close quarters combat of urban battles such as Stalingrad demanded a smaller and more convenient weapon. The M44 was born out of the simple brief to make an M38 with a bayonet. The bayonet of the M44 is a permanently attached folding spike. The M38 stock was modified with a groove to accept the bayonet when folded, but beyond this there were no changes. By 1944, many M38 carbines were fitted with M44 stocks. While the M44 was in production since 1943, it never reached the desired level of issue, and saw most of it's action post-war. These Mosin-Nagant carbines were made by Seth Soldier. Our winners for this week's screenshot competition is NotOnymous. You can view the winning submission here. We are now accepting entries for the week of December 15th. If you think you have the best FH2 screenshot, post them here.